In every enterprise that uses analytics, there are a few power users who need the most advanced tools all of the time, and an army of casual users who need to do simple analysis now and then. For the latter group, cloud-based analytics make perfect sense; users get the tools they need when they need them, and the organization gets out of the business of licensing, hosting, distributing and maintaining infrequently used software. 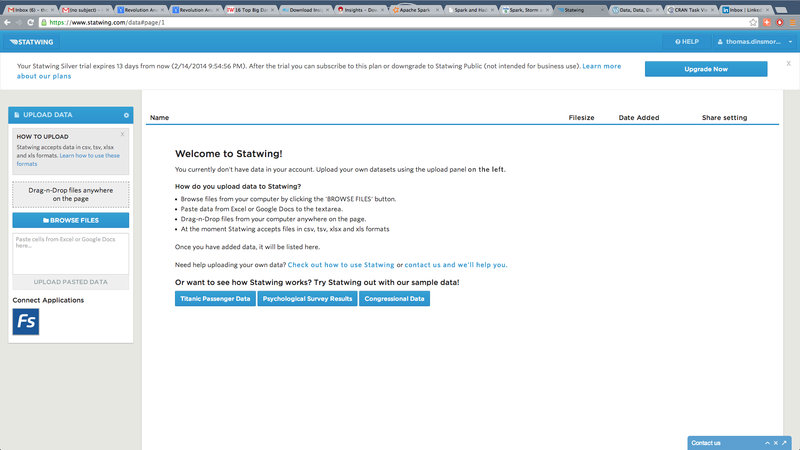 Statwing launched in 2012, and has recently scored some buzz and funding; it wants to “make your data…dreams come true.” A review of the service seems timely. Registration is simple; no credit card is needed for a trial license, just plug in your email address and go. Statwing lets you try its Silver plan for fourteen days at no charge; after that, you can pay $25 per month to stay on the Silver plan, upgrade to the Gold plan for $100 per month, or downgrade to the free public plan. The Silver and Gold plans keep your data private and let you share charts; the Gold plan lets you upload more data. I tried uploading a few data sets. The 1998 KDD Cup data was too large for the Silver plan, but a couple of other smaller data sets uploaded quickly, in seconds. 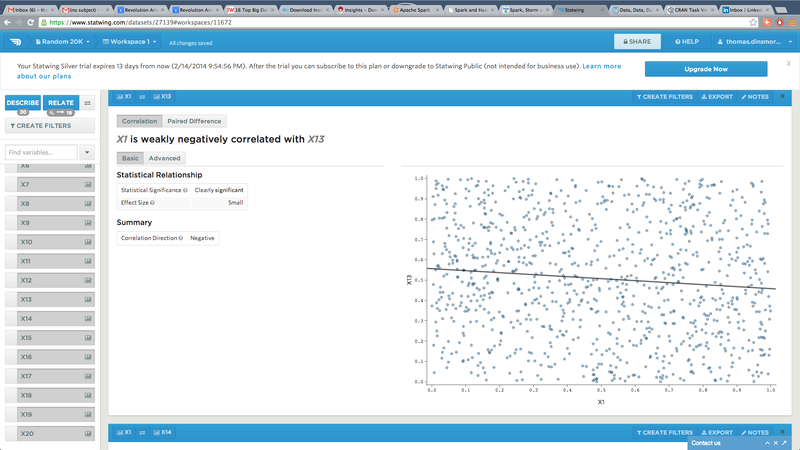 Statwing does two things well: one-way profiles and two-way tests of correlation. 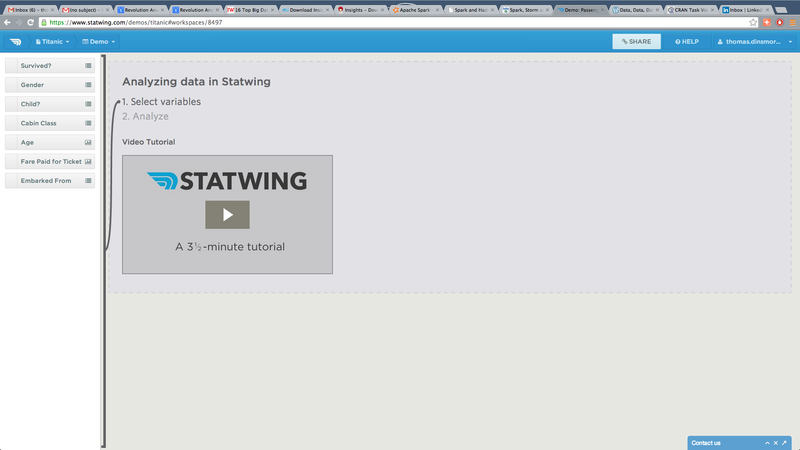 (Statwing claims to do crosstabs, but after watching the video and reading the available help, I can’t figure out how). 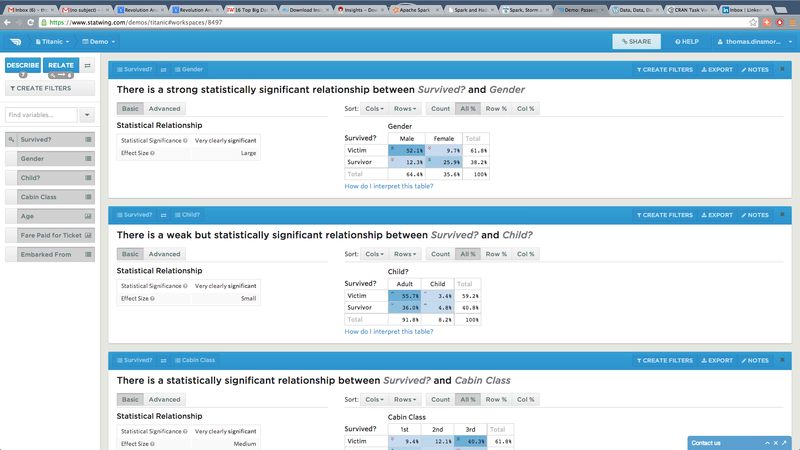 Bivariate analysis gives the user a “plain English” interpretation of the statistical tests, which is helpful. Overall, this service is well implemented and easy to use. 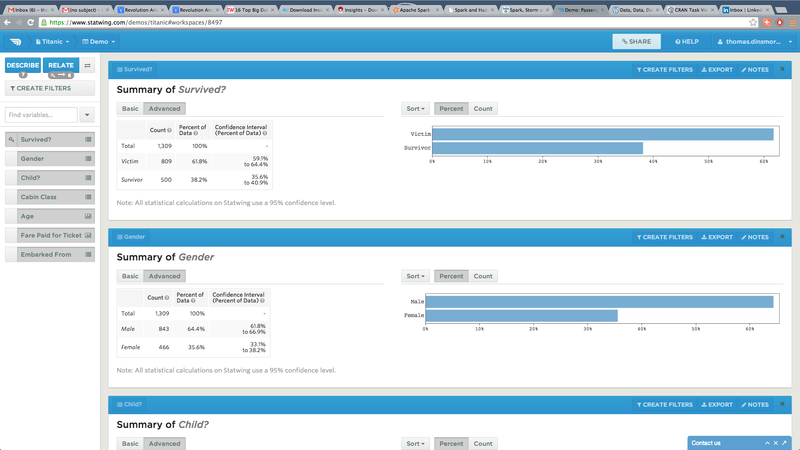 It does very little that other tools can’t do; for example, if you use SurveyMonkey or a similar tool to conduct an online survey you can simply do the analysis there and forget about Statwing. Given its limited functionality, Statwing is seriously overpriced; the Gold Plan will run you $1,200 per year ($800 if billed in advance); at that pricing, there are a number of alternatives that are just as easy to use. To crack the enterprise market, Statwing will need to add more analytic features to current capabilities and offer enterprise licensing with concurrent user pricing. Could you recommend some good alternatives to Statwing for us to review? Either online or stand-alone apps? There are many to choose from. As with any decision, you will need to define your needs and budget. — If you are looking for a relatively low cost general purpose analysis tool that is easy to use, consider Alteryx. — For an easy to use but scalable tool at a higher price point, check out Alpine.